The area where the hotel is located, breakfast was perfect, room with side sea view was acceptable. Very friendly and helpful staff. Nice location with beautiful sea view and lots of shops and restaurants in vicinity. Breakfasts are all right, and having them on a open terrace makes them much more enjoyable. The hotel is pretty good for a 3* - neat and very well located. Breakfast is nice. Hotel je velmi pěkný a moderní. Jen úklid trochu pokulhává je denní, ale někdy byly ustlané postele a v koupelně uklizeno nebylo, ale nebylo to nic zas tak hrozného, abychom si stěžovali. Výhled na moře má každý pokoj a jsou zde hotelová lehátka hned u pláže. 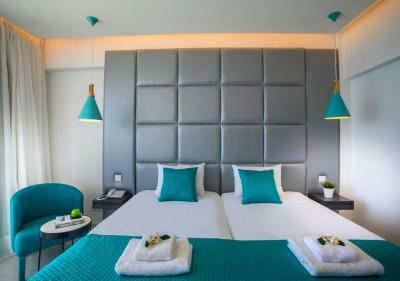 Bazén je u hotelu čistý a denně udržovaný. Pláž je hned u hotelu a centrum asi 100 m opačným směrem. Jídlo bylo výborné vybral si každý. Domluvíte se zde anglicky a rusky. Celkově jsme byli spokojeni. Υπεροχή τοποθεσία. Κοντά στη θάλασσα και στον κεντρικό δρόμο. Вид на море из нашего номера был просто великолепен. 10 из 10! Великолепное месторасположение отеля, всё что вам нужно - в шаговой доступности 3-5 минут. В 3 минутах ходьбы очень крутой британский бар Rockfellas Bar. В В принципе хорошо кормят - огромное разнообразие блюд, соусов, салатов, фруктов и всяких сладостей. Весь день доступно бесплатное мороженое в неограниченном количестве, что очень порадовало. До моря - 1 минута. Выходишь с территории отеля, и ты уже находишься на лучшем пляже побережья - Sunrise Beach. Пляж чистенький, вода просто кристальная. Прямо напротив выхода из отеля находится будка компании, которая предоставляет абсолютно все услуги развлекухи в открытом море. Периодически на ужине играет приятная живая музыка от местных исполнителей. На ресепшене есть переходники с русских розеток на их розетки. 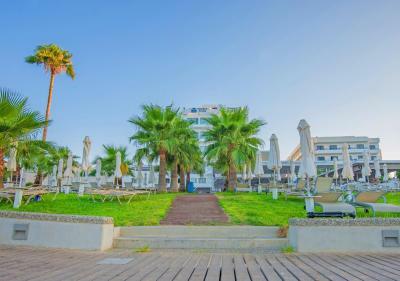 Silver Sands Beach Hotel This rating is a reflection of how the property compares to the industry standard when it comes to price, facilities and services available. It's based on a self-evaluation by the property. Use this rating to help choose your stay! 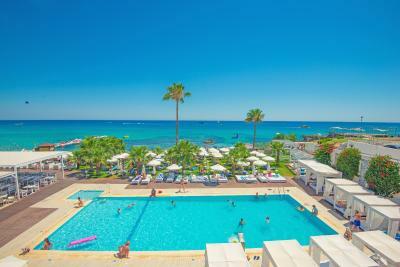 Located within 7.5 mi of the vivid Ayia Napa Beach, Silver Sands Beach Hotel offers accommodations in Protaras. The property features a pool with sea views and a terrace. Free private parking is available on site. Opening to a balcony, all rooms come with a flat-screen TV and air conditioning. They also include a seating area and a mini-bar. Extras include free toiletries and a hairdryer. 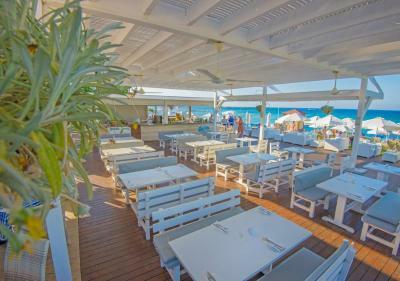 Children can swim in their own pool, while special kids' menu is prepared at the restaurant. Baby sitting service is available upon request, as well as high chairs. Sunrise Beach is 2.5 mi from Silver Sands Beach Hotel, while Kalamies Beach lies within a distance of 4.3 mi. 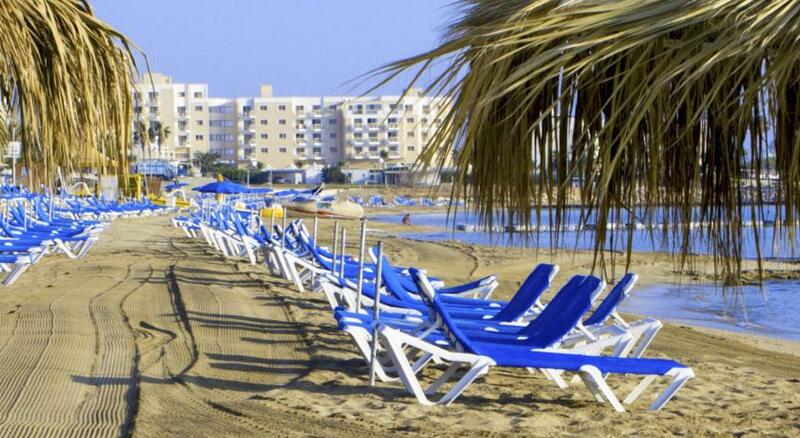 The nearest airport is Larnaca Airport, 43 mi from the property. 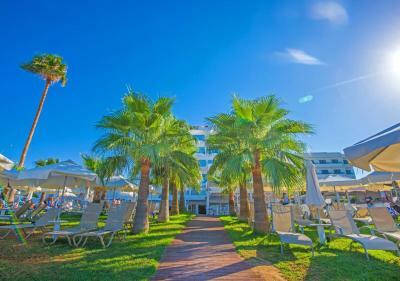 When would you like to stay at Silver Sands Beach Hotel? 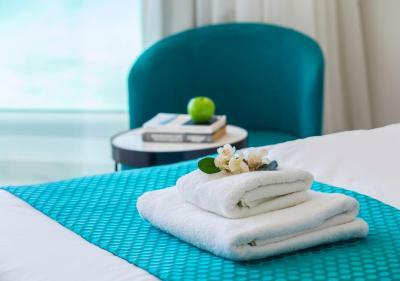 Opening to a furnished balcony with garden or city views, this modern room includes air conditioning and a flat-screen TV. 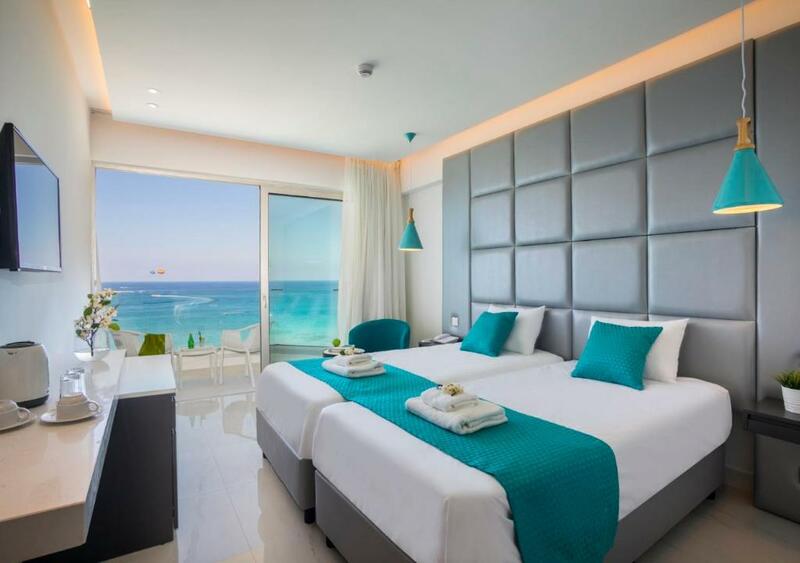 Opening to a furnished balcony with side sea views, this modern room includes air conditioning and a flat-screen TV. 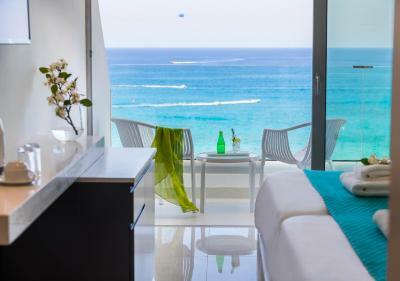 Opening to a furnished balcony with sea views, this modern room includes air conditioning and a flat-screen TV. 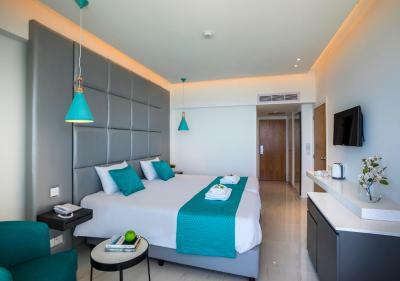 Opening to a furnished balcony with direct sea views, this modern room includes air conditioning and a flat-screen TV. 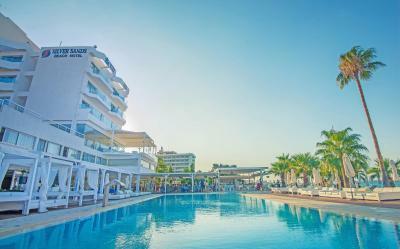 House Rules Silver Sands Beach Hotel takes special requests – add in the next step! Silver Sands Beach Hotel accepts these cards and reserves the right to temporarily hold an amount prior to arrival. Please note that indoor and outdoor parking is available upon extra charge. The internet wasn't free. They asked for €10 per day or 25 for the week. Ours was a 3 night stay. Towels to be collected between 10am and 1pm. They are behind reception on view. When requested them at 9pm they first said no. I could see them. Informed her we were going out for the day. Then she got them for me. The lights that hang down are right next to the bed. Each day both of us were banging into them. The hotel, rooms and bathrooms are dated, very poorly maintained & dirty. The beds are horrendous & the basics like WiFi and safety box are extra costs. Also, there is no lock on the door to signal housekeeping you are sleeping and they can easily walk in accidentally. Please avoid this hotel, a free breakfast is not worth it. The first thing which caught my eye was dirty curtain on the balcony window. Second - malfunctioning water tank in the toilet. Plumbing overall is quite old and semi-broken. Bathroom door wasn't closing unless the door knob was pushed really hard. Teapot in the room had an incompatible power plug. Also, there were no cups, just two small glasses (but maybe one is supposed to make local coffee in a small glass, can't tell for sure). And one night we had a large number of ants gathered around the trash can. More often then not hotel's sun bath beds were all occupied, so we had to chip some coins to rent ones on a municipal beach (2.50 per bed per day, not a big deal). the towels was very dirty, the bed was uncomfortable ( its toooooo old). I WILL NEVER STAY THERE AGAIN. Surprised to know that the hotel had no room services at all, struggling to find beds on the beach or near the swimming pool, we had to wake up at 6am to secure sunbeds. Reception was very hot with no air condition. 170 euro per night with no facilities. 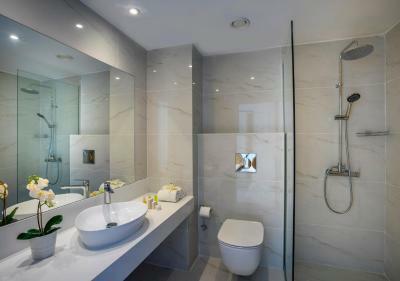 Have to give deposit for towels, for remote control, for safe, for fridge and most importantly they charge the Internet. The man went to the moon and this company (Tsokos hotels) they charge for Internet. Bathroom towels were very dirty and we made them change twice. Full of ants in the room. I made the mistake to book again last year in a similar hotel of this company and was much worst. This year because i expect it and knew the situation and services i just didn't pay attention. Only the location is excellent nothing else. 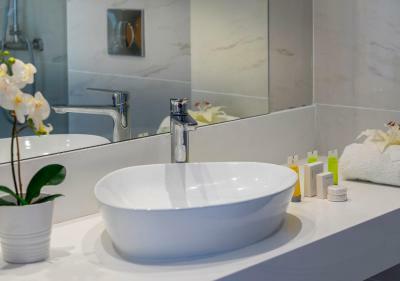 Leave a deposit for a towel, another one for a remote control, reception staff is unempowered and don’t make decisions, let alone take initiatives! Cleaning staff “missed” the room that wasn’t tipped. We requested a double we got two singles The matresses were very thin and the beds were squiking throughout the night. When we asked for another room they provided a worse room. We had to live on the second night as the bed was worse than sleeping on the floor. Based on the money we spent and the popularity of this hotel we expected much more. I wouldn’t stay another night even if it was free. 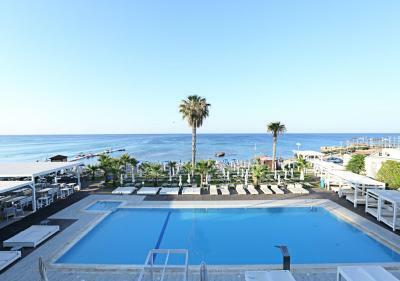 The location was great in the heart of protaras. Some things they look like no one every clean them and no one every care to check the finished work of the builders after the renovation. Unfinished work after renovation with no supervision to conclude the work. No service at the breakfast area. Not very clean.. The location of the hotel.. The staff was unfriendly from the check in. You have to pay for remote control, wi-fi, and many extras. Hallways are dirty and smell awful.